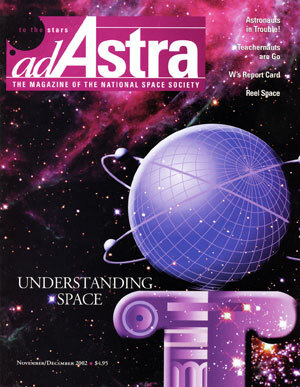 ON THE COVER: Our quest for knowledge about our universe continues unabated as represented by our cover illustration. 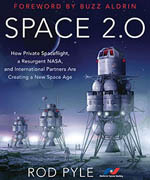 Taking stock of George W’s impact on space policy over his first two years in office. Brazil continues its efforts to break into a very exclusive club. School’s in! And in a brand new facility in Strasbourg, France. Ad Astra talks to the force behind the critically acclaimed graphic novels. “Teacher-Naut” Barbara Morgan is go for 2004. 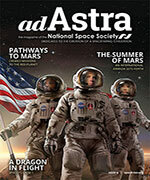 Ad Astra talks to her about what it might mean for young people. NASA has an historic opportunity for near-term progress if it can look beyond the Mars hype. Education and Public Outreach programs are inspiring teachers and students across America. What first ignited your interest in space? A good bet it was something seen on the silver screen.